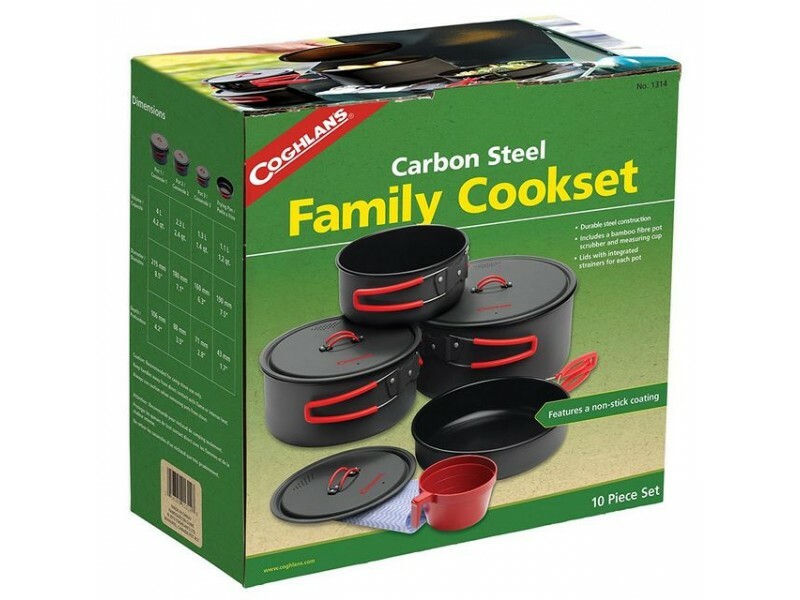 Coghlan's Carbon Steel Family Cookset is a great pot set for all your camping or outting needs. 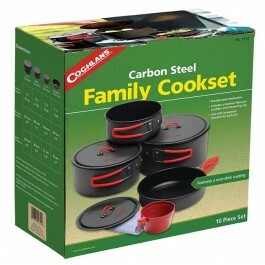 The pans are carbon steel and coated with non-stick coating on the inside. 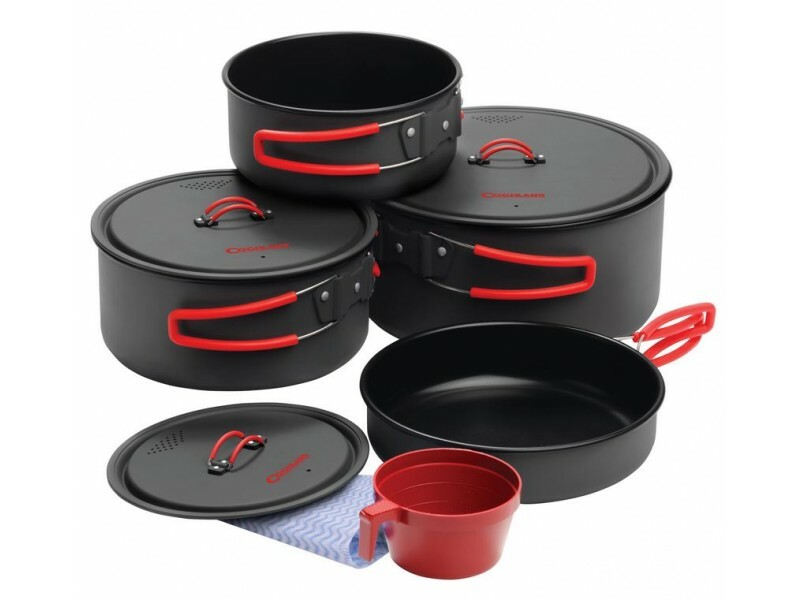 Not only are they heavy duty steel construction with swing-out handles on each pot and pan but they easily nests together for compact storage. Do not use on campfires. Use only on gas stoves or heating elements. Keep handles away from direct contact with flame or intense heat. Always use caution when removing pots from stove.